Aside from its ability to make emulsions, it also helps to soften and condition hair. It also gives a “conditioned after feel” to lotions and creams. If you’re familiar with Emulsifying Wax (E-wax), you would use this in place of it within the recommended percentage. The big bang with ECOMulse is that it’s based on the lactylates system. According to clinical studies cited by ingredientstodiefor.com, lactylates have moisturizing abilities which remain on the skin more than 6 weeks after washing. This makes it an awesome emulsifier choice for hair conditioners, by the way. TIP: If you want to add Aloe Vera Juice, Hibiscus tea or other acidic ingredients to your concoction, add those during the COOL DOWN phase. IE: add AFTER you’ve already made the oil+emulsifier+water mix. Wholesalers who sell ECOMulse say that it gives a “talc like” feel to the skin when used in your creams and lotions. When you’re concocting (Ie formulating your products) with this emulsifier, shoot for a final pH of 5 – 7.5. Anything more or less may cause the emulsion (your lotion or cream) to become slightly unstable quicker than it normally would. You can melt this in a double boiler set up by itself and mix it with the water or tea. OR you can add it along with half of your oils, then mix it with water. 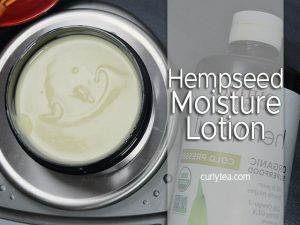 Make sure you get the temperature of the oil and the water (in separate bowls) to be 158 to 176 degrees Fahrenheit in order to make a good lotion or cream. As with other self-emulsifiers, the amount you use will help determine how thick your final emulsion (lotion or cream) will be. Its simple. For a nice lotion, use a lower percentage. For a nice thick cream, use a higher percentage. TIP: Anionic ingredients like ECOMulse shouldn’t be used with other stuff that doesn’t mix well with anionic ingredients.